UFC middleweight Vitor Belfort says fighters are “pretty much living in slavery” as a result of the UFC’s sponsorship deal with Reebok. 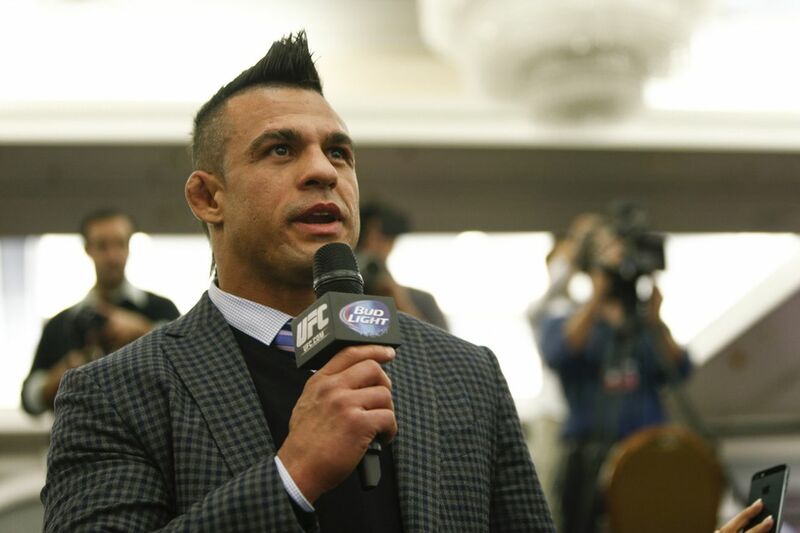 Former UFC champion Vitor Belfort isn’t happy with the UFC sponsorship situation. The Reebok deal is an exclusive apparel deal with the UFC meaning that none of the fighters in the organization are allowed to wear any non-Reebok sponsors during fights and weigh-ins. While by no means is it slavery, the deal is restrictive and does severely impede the ability of fighters to seek their own sponsors. The primary form of fighter advertising – banners and fight gear – are now no longer permitted to bear non-Reebok sponsors meaning other would-be sponsors aren’t inclined to support most fighters.